A cosmology is not just a theoretical enterprise, but a way also to gain our bearings in the inner world. I found that a hard saying when I first heard it (from Miriam MacGillis in 1979). It took me years to identify myself that way, steeped as I was in a cultural paradigm of separate, isolated components with humans in a compartment by themselves. I still pray to deepen my awareness of being integral with the rest of creation, helped now by many authors, speakers, and the “field” of awareness in which I live — to which readers of this website undoubtedly already contribute. Various theories of levels or stages exist. 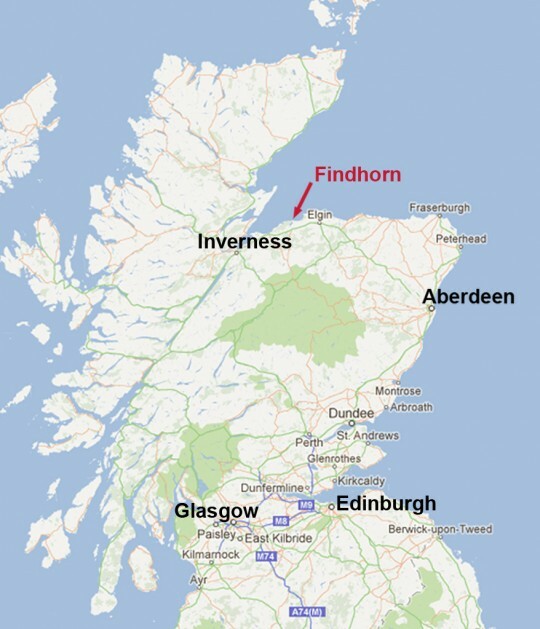 Mary Inglis, presently based at Findhorn, Scotland, wrote an article about this decades ago that I still find helpful: “Journey to Wholeness: The Message in Myths.” Originally published in OneEarth magazine, it follows the interplay between the masculine and feminine principles/energies. I find Inglis’ three basic stages of this evolution applicable for other topics as well. 3. Conscious return to unity and interdependence, fully honoring variety and complexity and their interconnectedness. 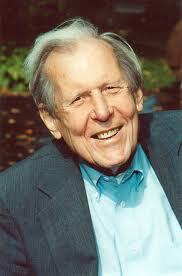 Inglis does not name Thomas Berry‘s three cosmic principles (communion, autopoiesis, differentiation) or quote him (e.g. Nothing is itself without everything else. ), but her third stage affirms them. [The third step] involves a willingness for grace to be active in our lives, for there is an element in it in which we do not choose it: it chooses us, if we are ready and open. . . . It asks that our actions and autonomy may reflect and be in the service of a larger wholeness. . . And it is not a step that is taken once and for all, but is required to be made again and again, for it arises out of the continual pull to both self-sufficiency and self-transcendence. Ultimately the individual conscious self only has meaning as it becomes a revelation and expression of the larger whole. It is through the capacity to surrender that the connection between the two is made, allowing the life of the spirit to guide and inform our actions, and bringing us to the knowledge and experience of our essential unity and interdependence with all creation and to the expression of this in our lives. As this happens, we return to the place from where we started, and know it for the first time. Evolution goes beyond what went before, but because it must embrace what went before, then its very nature is to transcend and include, and thus it has an inherent directionality, a secret impulse, toward increasing depth, intrinsic value, increasing consciousness. John Seed, the rainforest activist, tells of his sudden Aha! moment when acting to preserve a rainforest in Australia: I am part of the rainforest protecting myself. I am that part of the rainforest recently emerged into thinking. Believers might find these stages applicable also to humanity’s consciousness of the divine. Perhaps they would be helpful to people who feel they have “lost their faith” — when they’ve just moved out of Stage Two and have not yet settled into Stage Three. During humanity’s journey, cultures and religions immersed themselves in, named, and often fought over, their god(s). Mystics in various religious groups took the lead in “leaving god to find God” as they reached Stage Three. 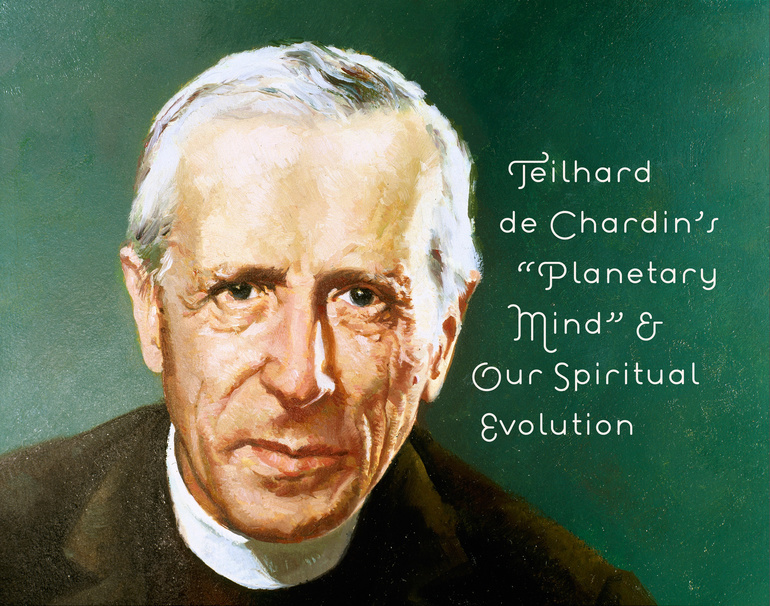 Modern science often helps people reach it, as do theologians and mystics like Teilhard de Chardin – but it’s often hard! The journey requires careful discernment of what to bring forward, what needs reinterpreting in light of new knowledge, re-creating systems that no longer function effectively within a new wholeness. 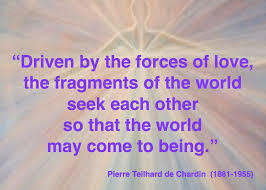 Thomas Berry warns/challenges that it requires “reinventing the human.” Teilhard de Chardin reminds us that “We are collaborators of creation” and the energies of Love make all the difference. We are, indeed, united with the cosmos and with the divine — understanding them distinctly, yet transcending isolation as we become aware of our interconnected whole and our role in co-creating it. Inglis’ three stages of evolution help me “transpose” all religious writing that took place in Stage Two and make sense of it in our own evolving worldview. Even Jesus‘ prayer in John 17 — That all may be one as you Father are in me and I in you. I pray that they may be one in us. . . — can be understood in this light. 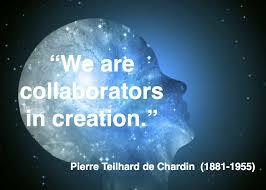 The unity already exists; our task is to live into consciousness of it. 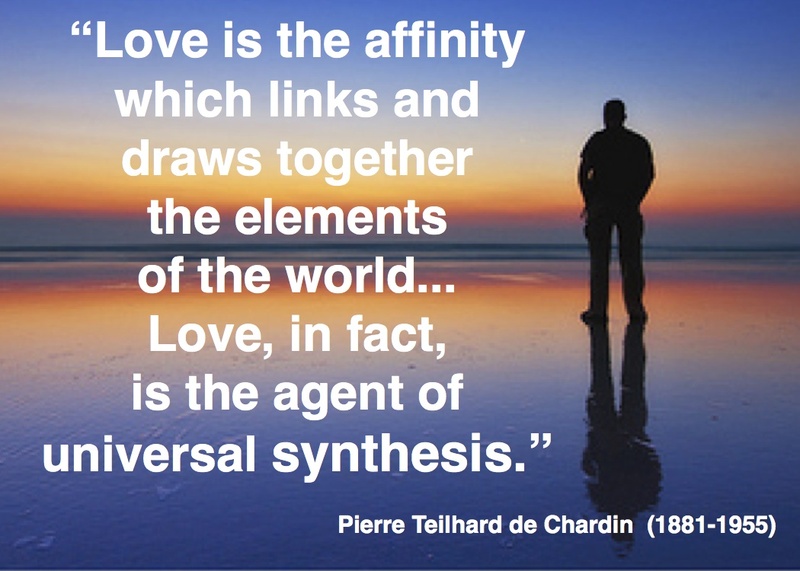 Reblogged this on Teilhard de Chardin. It’s amazing what you come up with, Terri. I’m so impressed at the intellectual/spiritual convergence! Terri, just when I begin to feel alone in my yearning for spiritual connection, you offer something like this posting — inspiring, enlightening, hopeful! Thanks so much! I have recently discovered Wendell Berry’s poems after watching his interview with Bill Moyers. He is definitely on this same wavelength as a seeker after — and believer in — the sacred oneness of Creation and Creator. Terri, thank you AGAIN for selecting these wonderful quotes as well as your own reflections that help me put my little world in perspective! My little world is important and necessary, as is every part of the evolving universe, but, guess what! – I am not at the center of this universe, as I sometimes subconsciously seem to believe! Thought provoking and prayer provoking, Terri! You are putting together important material that can help in the transformation of consciousness.Thank you for quoting some of my work. I only write to correct the spelling of my name in the first quotation. My last name is Coelho not Coelo.